An aluminum canopy is a very practical and affordable way to cover your patio or deck. 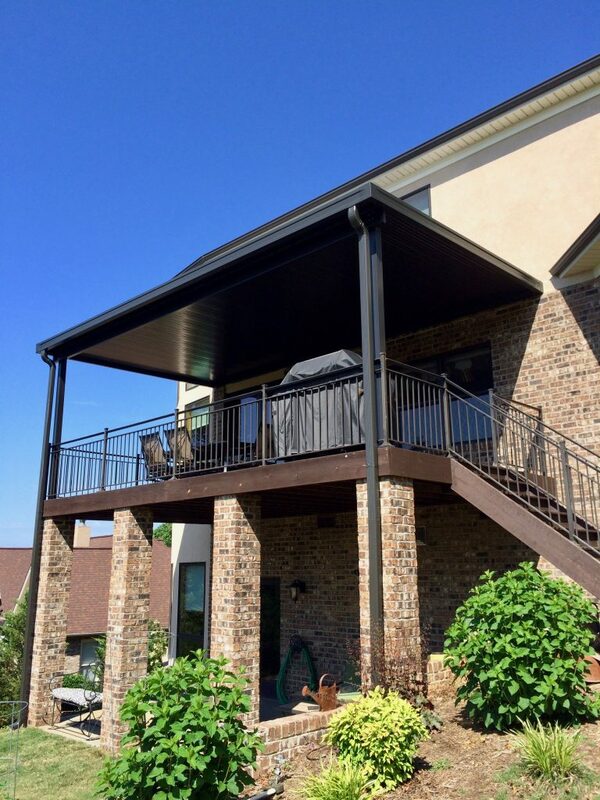 Featuring rugged construction and a beautiful finish, your canopy will be custom-built for your home. 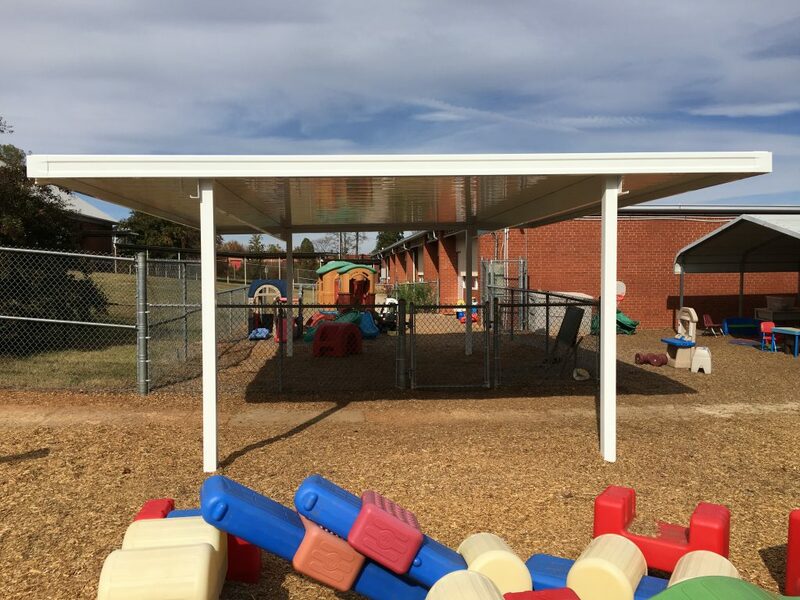 Our canopies are available in several colors, including white, ivory, grey, brown, bronze, black, and clay. 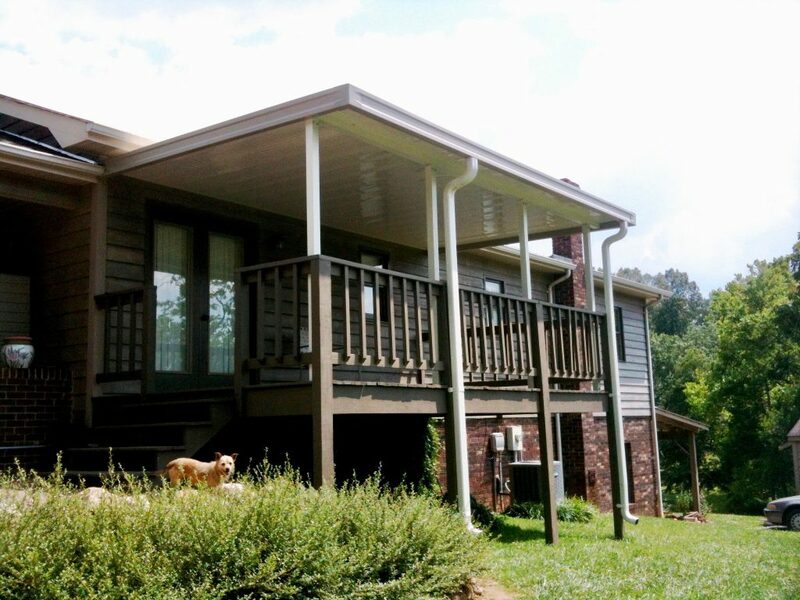 Our aluminum canopies feature built-in guttering and downspouts. They are engineered to meet all local building codes for both snow load and wind uplift, for a long-lasting, low maintenance cover. Keep your patio furniture clean and dry, with a year-round aluminum canopy. Extend the outdoor living season with a canopy from Evergreen Awnings. 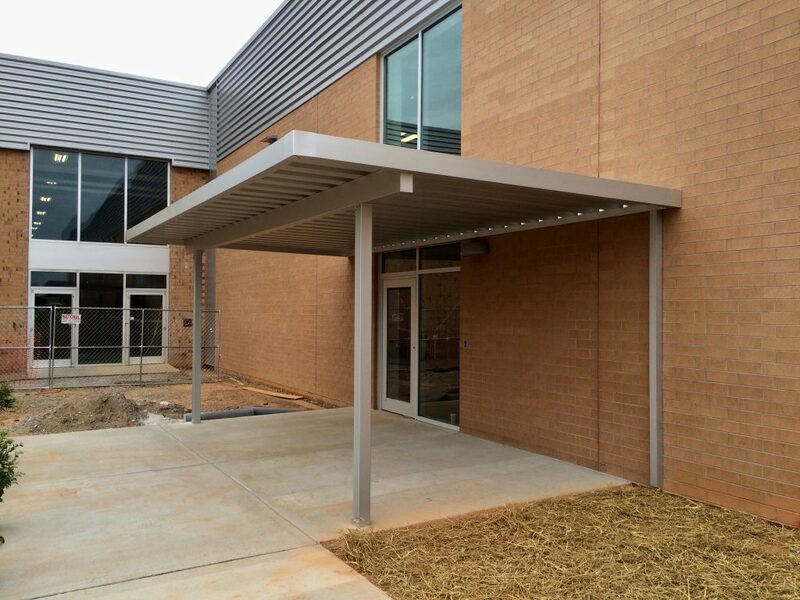 Businesses use aluminum canopies as a cost-effective way to cover an entry, break area, or dock. They are available in the standard painted roll-formed materials or in extra-heavy clear-anodized extruded materials. 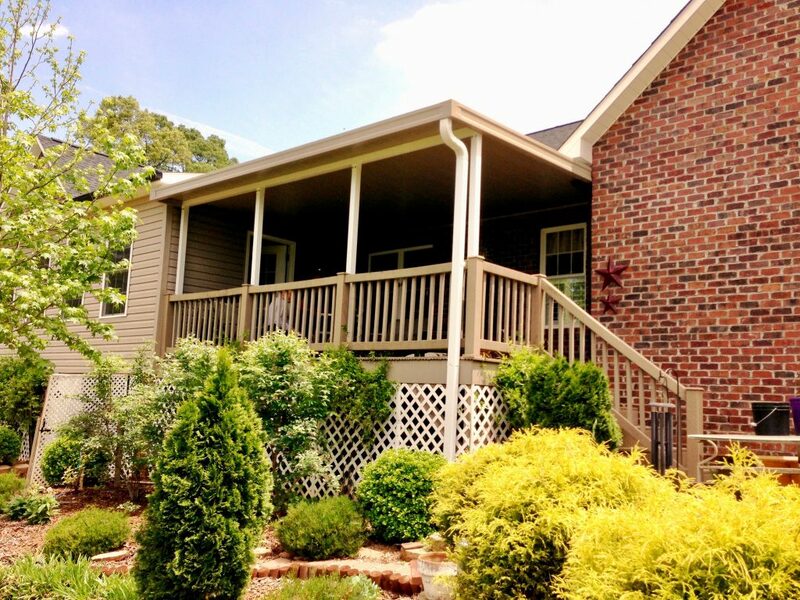 Call 828-381-2349, and we will come help you choose the right color and size canopy for your home.